March 16, 2016 — After decades of conflict, Angola could become a hub for steel production in the region, even despite Africa’s commodities struggles. While 1975 heralded Angola’s independence, the year also marked the start of a 27-year civil war that inflicted deep scars across the country. As the two former independence forces fought for power, railways, roads, bridges and agricultural infrastructural were destroyed. Foreign investment remained far at bay, thus hurtling the country’s economy back decades in its development. Yet in the years that have since followed the end of this bloody chapter, Angola’s recovery is occurring at a rate faster than many could have expected. 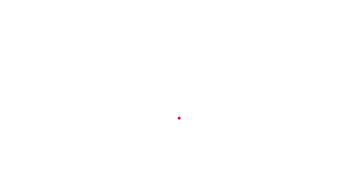 In fact, the once warring state has become one of the world’s fastest growing economies, surpassing even China between 2001 and 2010 with an annual average GDP growth of 11.1 percent, according to the IMF (see Fig. 1). However, although Angola’s oil wealth has provided a much-needed influx of capital to the government, it has also restricted the country’s economic diversification, in addition to prompting criticism in regards to the high levels of poverty that continue to afflict the population. Being so wholly dependent on its oil sector for economic growth, Angola has recently hit a stumbling block. In 2014, the country’s GDP growth dropped to 4.5 percent from the impressive 6.8 percent rate it achieved in the previous year, and is estimated to have fallen further to 3.8 percent in 2015, says the African Development Bank (ADB). As well as a reduction in oil production, this decline can also be attributed to a prolonged drought that severely disrupted Angola’s agriculture sector – a vital economic driver for the country. “Angola is the second biggest oil producer in Africa and has been very affected by the oil crisis. It is therefore essential for the country to diversify its economy and produce locally in order to reduce imports”, said Choucair. 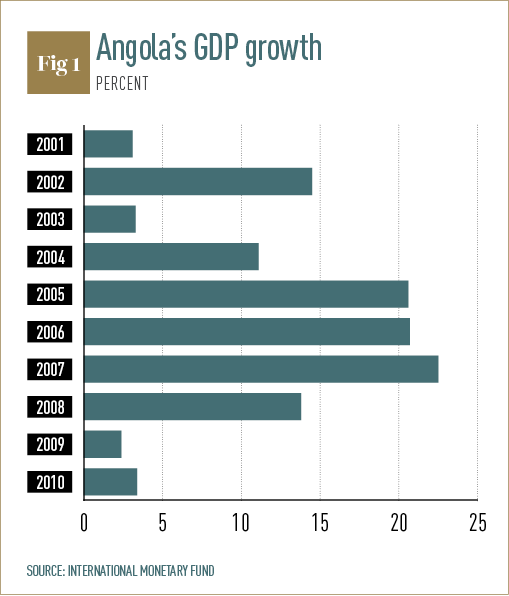 Angola is at a pivotal point in both its history and economic development. In order to maintain growth in the long term, non-oil industries must be spurred forward, while the country’s business environment must be improved further in order to encourage both domestic and foreign investment. That said, notwithstanding the global system’s modest recovery and an ongoing crisis in oil prices, Angola has fared considerably better than many oil-producers, as is indicated by the ADB’s forecast that GDP growth will rebound to 4.2 percent in the coming year. Among the most promising glimmers of potential for the economy is its emergent steel industry. In December 2015, ADA opened the country’s first steel mill factory; at a cost of 267.57€m, it is the largest in Central and West Africa and Angola’s biggest investment project to date. At present, the mill can produce 500 tonnes of steel rebars per annum, yet with more investment due in the near future, this volume is expected to grow to 1.2 million tonnes, thereby making the country completely self sufficient in steel by 2019 and saving 267.57€m in foreign currency annually. Moreover, and significantly, in the coming years, the factory will also contribute to the state’s export revenue as it begins delivering the product to neighbouring countries as well. The ADA factory is located 40km from the centre of Luanda, a choice that was motivated by its proximity to the country’s capital, as well as the development potential of the Bengo province. By establishing a factory in Barra do Dande, ADA has breathed life into a once derelict area. “ADA has largely contributed to the development of the region of Barra do Dande by providing clean water to the local community, constructing a health centre and a training centre, in addition to its ongoing recruitment campaign that began in October 2012 when construction first started”, explained Sanga de Almeida, Group CMO for K2L and ADA Steel. The impact of ADA in Barra do Dande has been nothing short of exceptional. In addition to the creation of hundreds of new jobs, as well as the necessary training required for employment at the mill, ADA offers support to the entire community. This can be seen via its continued assistance to the local hospital by providing it with access to clean running water and also in sanitising the surroundings of the building itself. Furthermore, ADA continues to support the hospital with necessary equipment and medicine, a pledge that is now taking shape as an annual programme, instead of a pro re natabasis. What’s more, ADA provided a school in the local village with electricity by connecting it to the national grid for the first time. “ADA will create 600 direct jobs and over 3,000 indirect ones by creating a nationwide platform of scrap collection that will not only allow the population to have access to revenue but also to ‘clean’ the country of all the hazardous scraps that remain from the war”, de Almeida added. Through its support of crucial social infrastructure in the area, ADA has provided a springboard for other local businesses to also establish themselves there. 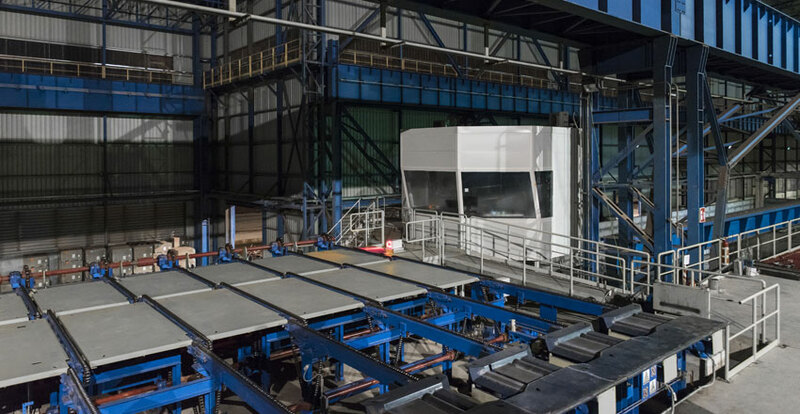 As well as new restaurants and a hostel, Portuguese group Soares da Costa recently opened a concrete factory, which first supplied ADA with its requirements during construction and now distributes concrete to the entire region. In facilitating a new network of enterprises, the presence of the mill has instigated a flourish of economic activity in Barra do Dande, which still continues with fervour. To further encourage the development of non-oil sectors, the government is also taking measures to fight corruption, which has been an ample hindrance to foreign investment in Angola in the past. For example, the Principles of Ethical Business in Angola and the Ethics Centre of Angola were both established in 2013 in order to promote ethical business values in the country. While recent legislation, such as the Public Probity Law and the Law of Crimes Against the Economy, is making a strong push towards greater transparency and accountability in the system. Angola has a unique opportunity to capitalise on the array of economic benefits presented by the presence of its new steel mill. Not only in terms of the stimulus it provides to the area and the upcoming attraction of exports, but also, importantly, because it sets a precedent for other projects and investment in Angola, thereby indicating the vast potential of this fast growing economy. Furthermore, through steel, Angola can become a driver for Sub-Saharan Africa – particularly if and when other promising industries and commodities soon follow suit. “Angola has enough potential to [become] a very competitive country in the years to come and I am convinced that it will become an exporting country in the next five years. This is already the case with coffee, cement, marble and granite”, de Almeida told World Finance. Undoubtedly, Angola’s afflicted past has stunted its development and economic evolvement until relatively recently. That said, as evidenced by the country’s rapid growth in the past decade and the feats the state has achieved, Angola is fighting hard to not become yet another hostage to a troubled history. Through new legislation, governmental reforms that facilitate business and investment, and a steadfast focus on economic diversification, not only will the state prevail in this goal – it may exceed all expectations.